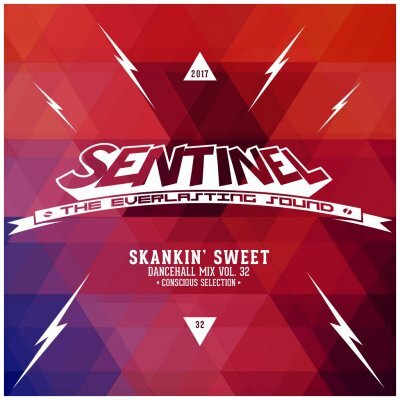 Right now, with a bigger pool ofsongs to choose from, the crew from Stuttgart released a brandnew One Drop version of their „Dancehall Mix" series, called „Skankin' Sweet". The superb title track by Modern Roots superstar Chronixx is part of a formidable selection of Roots-, Lovers- and Reality-tunes by artists such as the legendary crooner Jah Cure or the highly talented newcomer Mortimer. The 32nd edition of the „Dancehall Mix" is a great example of the immortality of classic Reggae music, but it's also a reminder, that, in our hype-addicted world, great music doesn't always get the recognition it deserves. This is a mixtape, you should download!